A COMVOL investigation has determined that press reports of hot mudflows at Babuyan Claro were incorrect. COMVOL found that a landslide, probably triggered by continuous rainfall, had occurred at 600 m above sea level on the NW flank. The Global Volcanism Program has no Weekly Reports available for Babuyan Claro. Volcanic activity is now reported from Babuyan Island, 70 km NW of Didicas Volcano (figure 1). Large ash clouds are being emitted at 10-minute intervals. Note: There are two active volcanos on Babuyan Island -- Babuyan Claro and Smith. It is not yet known which of these is presently erupting. Figure 1. Sketch map showing the location of Babuyan Island north of Luzon, Philippines. "COMVOL air reconnaissance Babuyan Island indicated neither signs of present or recent activity. Island has two volcanos, Smith or Mt. Babuyan clearly observed with no signs of activity. Older and taller volcano, Mt. Pangasun or Babuyan Claro covered by cloud bank but no ash deposits on lower slopes or steam emission apparent." 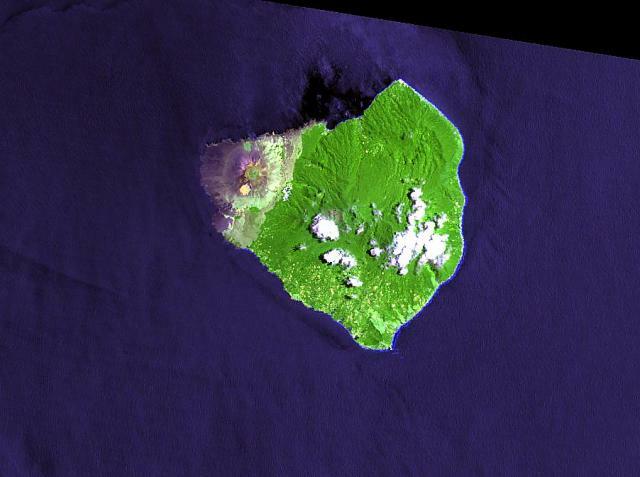 The alleged eruption of a volcano in Babuyan Island proved to be unfounded. Air reconnaissance over the Island failed to show any signs of any on-going activity or one of very recent occurrence. There are two volcanoes in the island. Smith or Mount Babuyan, the younger and lower of the two was clearly visible and no break was observed on any part of its grassy crater and slopes. No ash deposits on the trees of the lower half of the volcano were detected, and as no eruption emission was seen rising above the cloud bank, it can be surmised that this volcano too has not manifested any very recent activity. Information Contacts: Card 0489 (07 April 1969)Erico Cartillejos, Manila Bulletin, Manila, Philippines. Hot mudflows from Babuyan Claro [but see below] damaged rice fields and roads, and forced the evacuation of nearby residents according to a Kyodo radio report dated 8 February. PNA radio reported that a three-man COMVOL was sent to study the volcano. . . .
Information Contacts: Kyodo radio, Tokyo; PNA radio, Manila. Five Pleistocene-to-Holocene volcanic centers occupy Babuyan de Claro Island north of Luzon. The largest edifice is Mt. Pangasun (Babuyan Claro), an active stratovolcano with two summit craters 300 and 400 m in diameter. The symmetrical basaltic andesite cinder cone of Smith Volcano (Mount Babuyan), located 4 km NW of Babuyan Claro, is the youngest volcano on the island. Both Babuyan Claro and Smith have apparently been active in historical time, although the identity of the erupting volcano is not always certain. Askedna Hot Spring is located at the southern base of Babuyan Claro. Defant M J, Jacques D, Maury R C, de Boer J, Joron J-L, 1989. Geochemistry and tectonic setting of the Luzon arc, Philippines. Geol Soc Amer Bull, 101: 663-672. There is no Deformation History data available for Babuyan Claro. There is no Emissions History data available for Babuyan Claro. The symmetrical, unvegetated basaltic andesite cinder cone of Smith Volcano (Mount Babuyan) is the youngest of five Pleistocene-to-Holocene volcanic centers on the island of Babuyan Claro. The largest edifice is Mt. Pangasun (Babuyan Claro), an active stratovolcano with two summit craters 300 and 400 m in diameter. Both Babuyan Claro and Smith volcanoes have apparently been active in historical time, although the identity of the erupting volcano is not always certain. Conical Smith volcano in the foreground is one of five Pleistocene-to-Holocene volcanic centers occupying Babuyan de Claro Island north of Luzon. 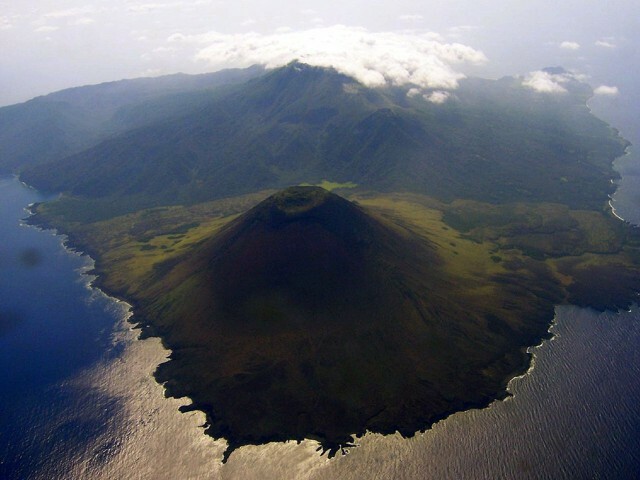 The symmetrical basaltic andesite cinder cone of Smith Volcano (also known as Mount Babuyan), rises to 688 m and is the youngest volcano on the island. Both the higher Babuyan Claro volcano and Smith volcano have apparently been active in historical time, although the identity of the erupting volcano is not always certain. Photo by Bing Ramos, 2006 (http://en.wikipedia.org/wiki/Image:Didicas_Volcano_1.jpg). Forested Babuyan Claro volcano is one of five Pleistocene-to-Holocene volcanic centers occupying Babuyan de Claro Island north of Luzon. The largest edifice is Mt. Pangasun (Babuyan Claro), an active stratovolcano with two summit craters 300 and 400 m in diameter. 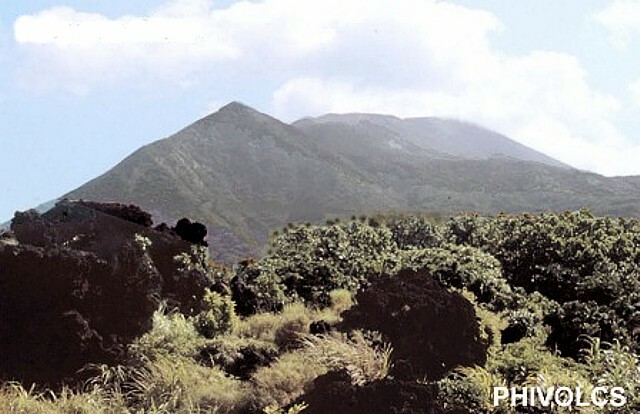 Adjacent edifices include Mount Cayonan, Mount Naydi and Mount Dionisio; the youngest volcano on the island is Smith volcano. Askedna Hot Spring is located at the southern base of Babuyan Claro. There are no samples for Babuyan Claro in the Smithsonian's NMNH Department of Mineral Sciences Rock and Ore collection. Large Eruptions of Babuyan Claro Information about large Quaternary eruptions (VEI >= 4) is cataloged in the Large Magnitude Explosive Volcanic Eruptions (LaMEVE) database of the Volcano Global Risk Identification and Analysis Project (VOGRIPA).